Stonebridge Lofts is the only new project the Minneapolis condo market has seen in the last few years. 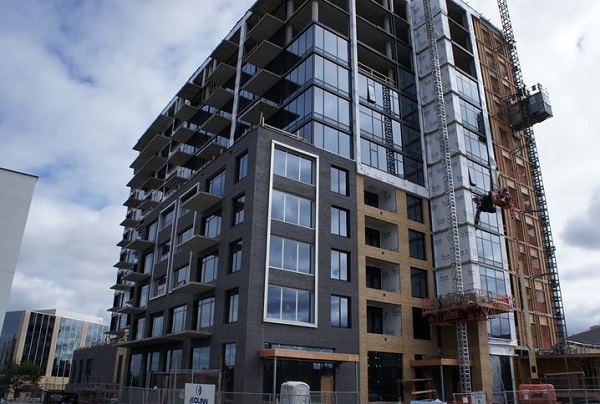 While still under construction, the Stonebridge condos is one of the most anticipated buildings and the coveted 164 pet-friendly units are selling out fast. Floor plans vary in style and range from 1-3 bedroom residences. Located in the Mill District, the prime location is in the heart of this vibrant neighborhood. With Gold Medal Park across the street, Mill Ruins park a couple of blocks away, and an excellent selection of amenities nearby, most errands are within walking distance. The Stonebridge Lofts are already on sale, but will not be completed until late 2013. See all Stonebridge Lofts for sale below or learn more about the amenities and nearby attractions that make this one of the most sought after residences in the Mill District. 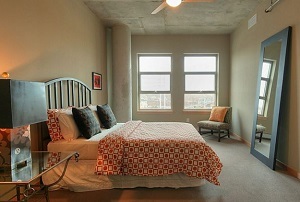 Looking to live at The Stonebridge Lofts but not finding what you are looking for? 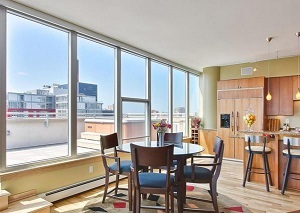 Inquire about our 'off MLS' Minneapolis Condo and Loft pocket listings. If you're lucky enough to snag one of these fabulous units, you can choose between three different packages with a selection of different custom finishes and options. Floors 1-5 offer the most basic floor plans where floors 6-9 and 10-12 offer gourmet kitchens with gas ranges, larger custom interior design allowances, and stunning views of Gold Medal Park. Residents of Stonebridge Lofts enjoy several shared amenities including a swimming pool, fitness area, and a spacious community room for entertaining. Because of its location in the lively Mill District, residents Stonebridge lofts have plenty to do. With a walkscore of 85, the building is very pedestrian friendly. There's a good selection of restaurants, cafes, and bars within 2 blocks of Stonebridge Lofts. Gold Medal Park and Mill Ruins Park are both within a block, and the Guthrie Theater is just down the street. 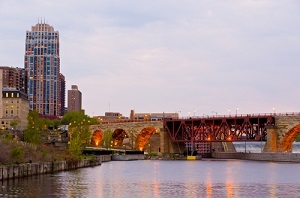 Also close by is the Hubert H. Humphrey Metrodome, the Mill City Museum, Stone Arch Bridge, and an ice rink. Restaurants: Grumpy's Bar & Grill, Sarpino's Pizzeria, the Old Spaghetti Factory, Kindee Thai Restaurant, Harry's Bar & Cocktails, Spoonriver, Sea Change, and Maxwell's American Pub. Shopping: Mill City Market, the Soap Factory, Santana Foods, Marquette Plaza, Sorella Wine & Spirits. Do you own a condo in Stonebridge Lofts and happen to be thinking about selling? Let me assess your condos value and get you a price quote. Fill out my condo sellers form and our team of Minneapolis condo experts at Downtown Resource Group will get back to you with more information on the recent sales activity in your building as well as provide you a marketing plan and general market assessment.